Posted on February 1, 2018 by Rebecca C.
From my understanding, there are approximately 3,000 species of snakes around the world. 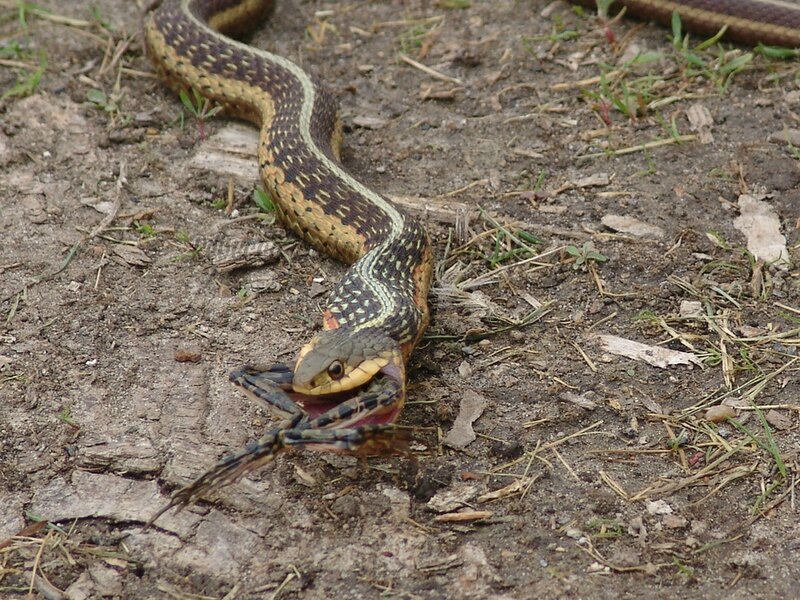 A common Garter Snake eating a frog. Today, February 1st celebrates serpents and snakes alike. So I thought I would share a few of my snake photos. 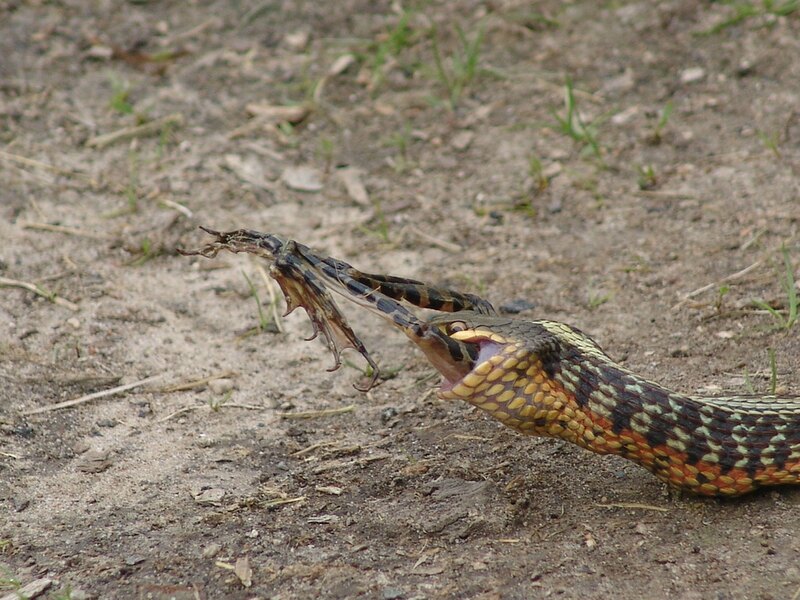 Like everything in nature, I find snakes fascinating. When I photographed this snake, I used an old film camera. 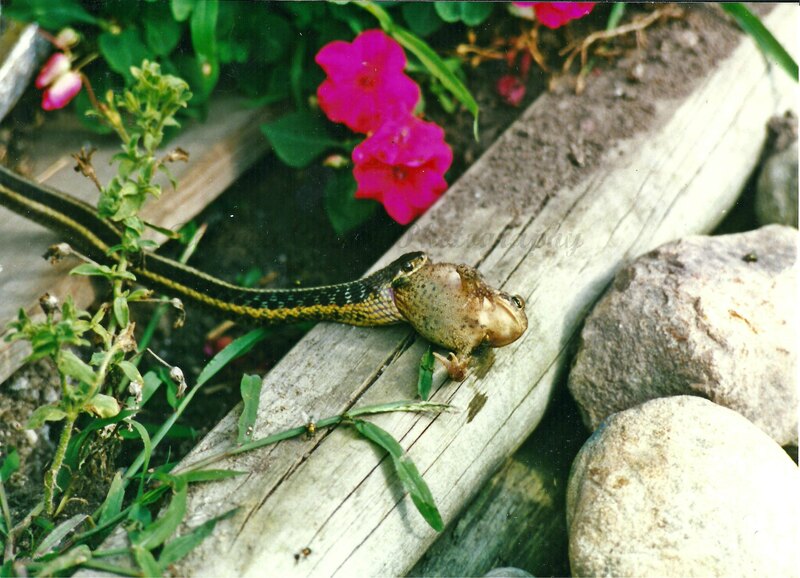 But the snake seemed to have a more difficult time eating the toad.